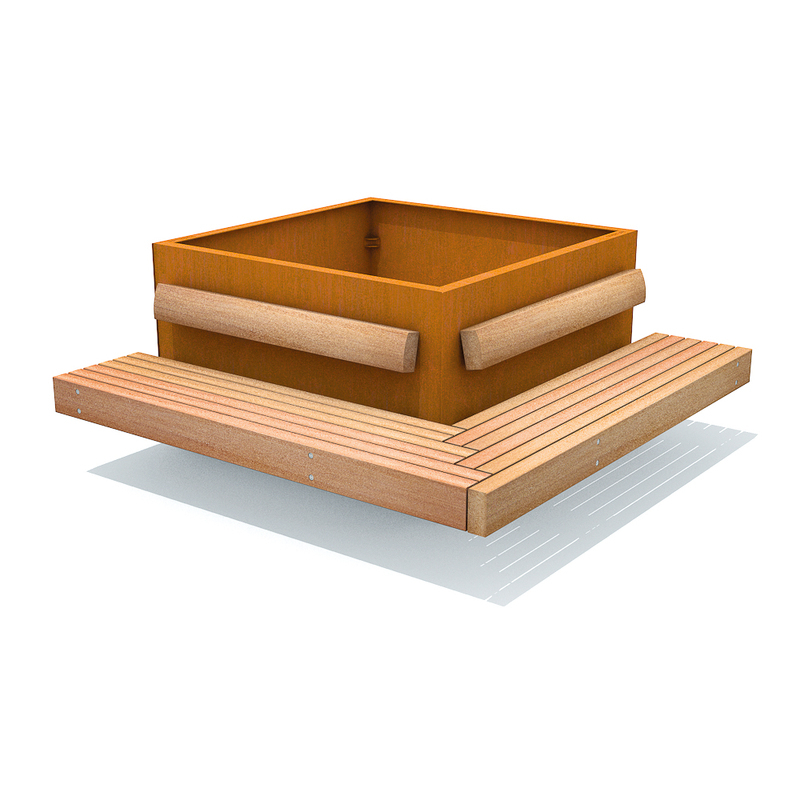 The Shrubtubs Tree Planters offer a stable base structure for mounting Solid Serif wall benches and form the basis for the green benches: Serif Hug a Tub. 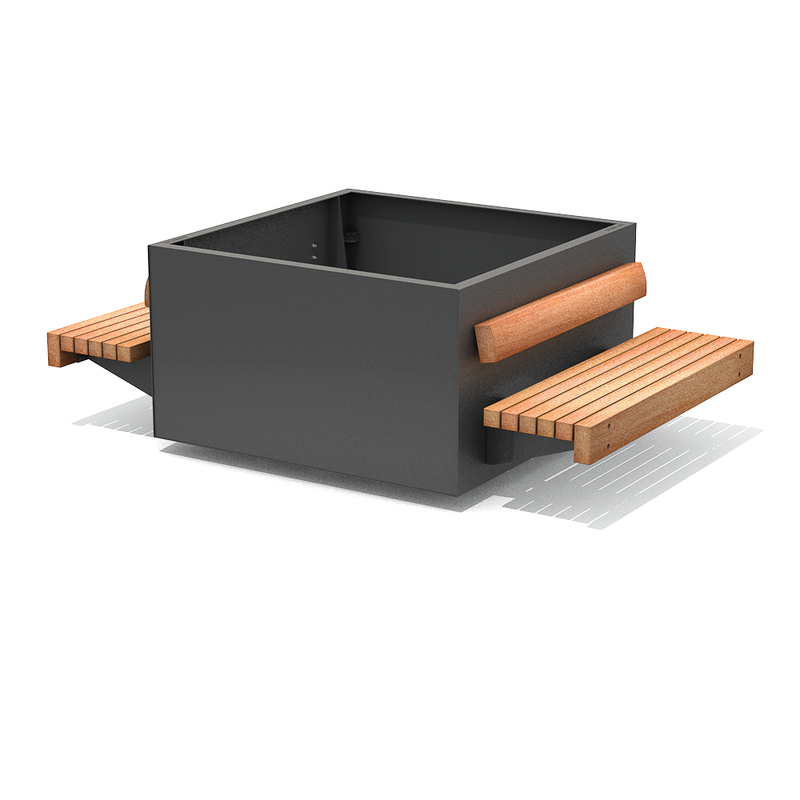 The serif wall bench is made of Solid slats (7x7 cm - 2.8”x2.8”) with a Serif locking beam (7x15 cm - 2.8”x5.9”). 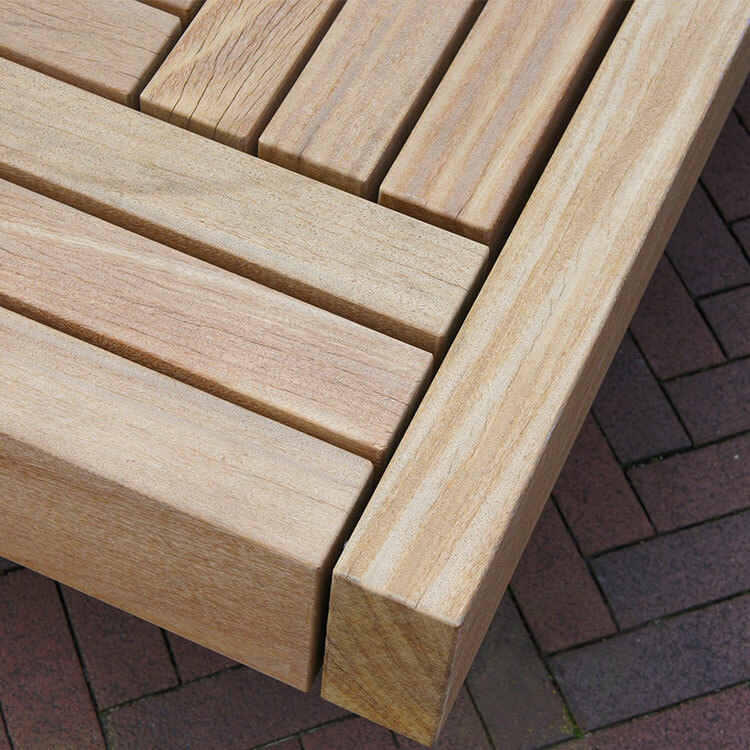 The Solid Serif wall benches on these Hug a Tub tree planters are joined together at the corners. The corners are fitted in a unique wicker pattern, allowing for long beams to be added on all sides. The Hug a Tub configurations remain mobile, making temporary layout variations possible. They are a highly attractive option for councils looking to equip empty squares or concrete decks with green recreational areas. 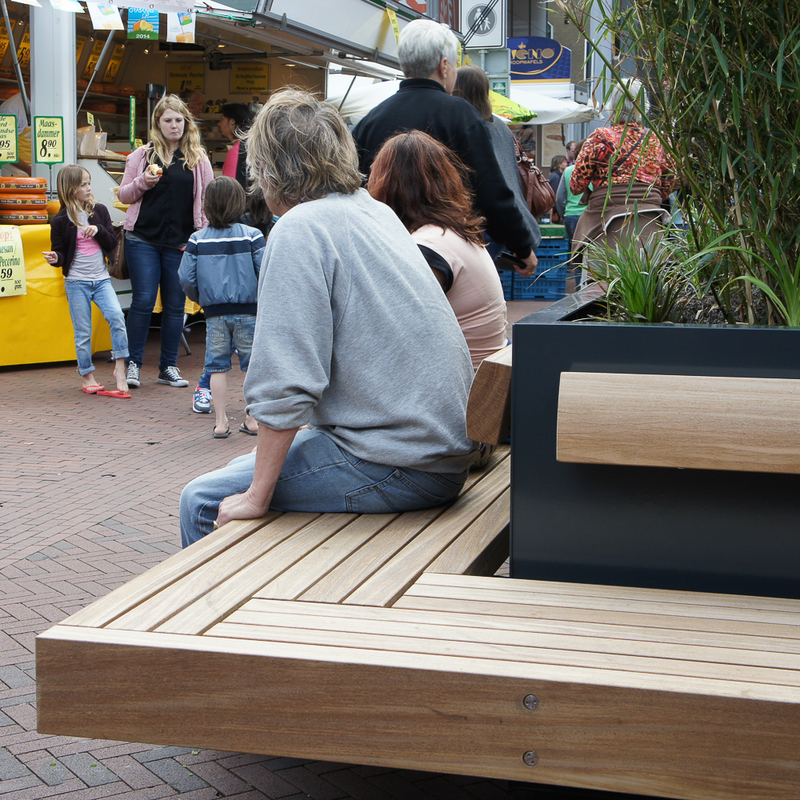 The Solid Serif wall benches can be mounted one-sided, double-sided and corner-sided, as well as all around.